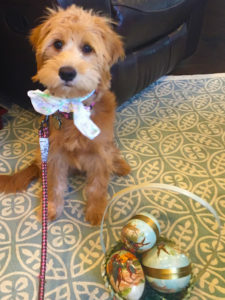 The office Easter baskets are out, and Goldendoodle Peyton can’t resist! 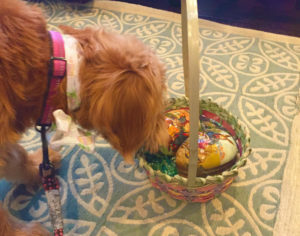 Sniffing out the competition and collecting as many eggs as she can, Peyton’s working to get all the eggs in one basket – hers. Can you relate with your friends and family members?